Note: There is an unsubscribe link at the bottom if they wish to stop receiving updates like these. Show screenshots of the feature to get people excited and ensure you're on the right track. 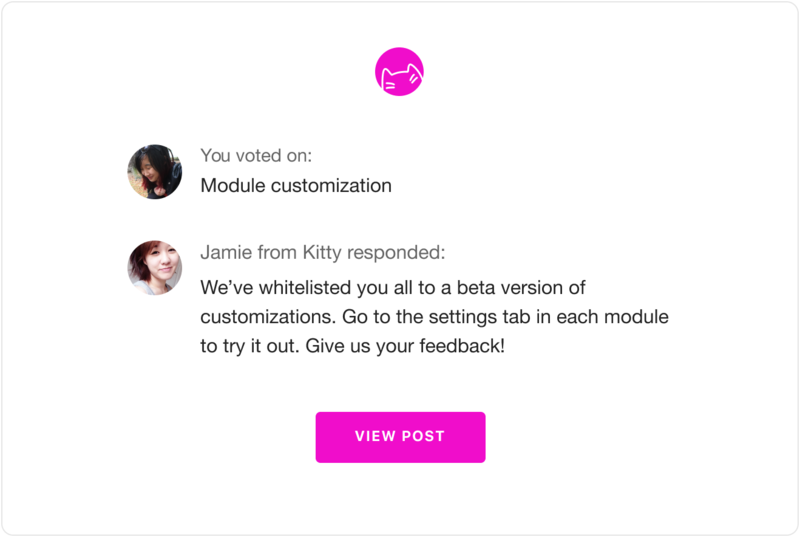 Your users will love being involved in the process. Now you can reach out to interested parties when you have further questions. What exactly is your user trying to solve? Does something else solve that problem?